With temperatures in the Lowcountry expected to drop into the teens (and wind chills near zero along the coast), Charleston residents are bracing for some bitterly cold weather tonight - something we don't experience that often. 1. Leave a faucet dripping over night. Flowing water is less likely to freeze. 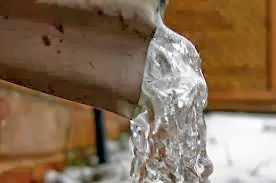 Even if some of the water in the pipes does freeze, keeping the faucet open and water flowing helps prevent pressure from building, which can cause a pipe to burst. 2. Cover exposed pipes. Your local home improvement store should carry pipe insulation. If you don't have time to get the insulation, grab a few blankets or towels and wrap any exposed pipes. Don't forget about pipes in the garage, attic or other unheated areas of the home. 3. Disconnect garden hoses. It's not uncommon to leave your garden hose connected to your outdoor spigot year-round. The problem is that if water freezes in the hose it puts pressure on the entire plumbing system. Disconnect your hose, drain it and cover the spigot just to be safe. 4. Know where your water shut-off valve is located. If you do have a pipe burst, use this valve to shut off your home's water supply and hopefully minimize any water damage.